Opis: This 8th edition is a statistical yearbook of both domestic and international football in South America during the 2016-2017 season. 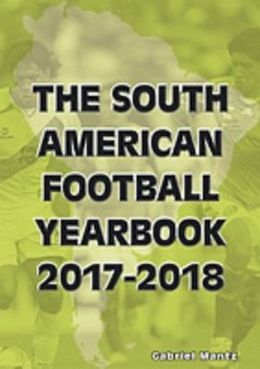 Includes full line-ups and statistics for international matches played by the countries who are members of the CONMEBOL governing body which oversees South American football together with basic player information (name, date of birth and club) for those who appeared in these games. For domestic football, this book contains a historical list of champions for each country, results of every League game (for the first time) and a final League table for the past season, information about each National Cup Final, player listings for the top division clubs plus some other statistics. Finally, this book also includes full statistics for the Copa Libertadores 2016 and the Copa Sudamericana 2016.